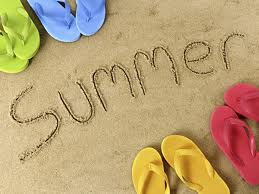 We’re only a few weeks away from Labor Day – can you believe how quickly the summer has flown by? My niece is visiting for a week so I took the day off yesterday and went to the pool. Afterwards I wanted something cool, refreshing and sweet. Enter sorbet. Here’s a super easy recipe to make your own. I used greek yogurt but you can use low-fat flavored yogurt if you prefer. Directions: mix in food processor until smooth, freeze and enjoy! But you don’t get away without anything Wicked Green – pop grapes into the freezer for an hour or two. They are so delicious frozen! I’m celebrating Summer by offering Lost in Shadow, book one in the Shadow Walkers series FREE today through 7/20 on Amazon. Don’t have a Kindle or an eReader? No worries. Get the free app from Amazon for your laptop, smartphone and/or tablet. Lost in Shadow is a modern-day ghost story with a twist. I hope you enjoy Colin and Emily’s story. Book 2 – Desired by Shadow will be out in October. 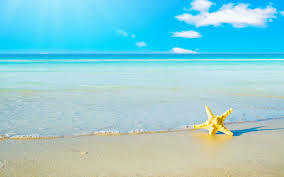 Today, June 21st is the official first day of summer. If you live in the South like me, it’s been hot for a while. Take a few moments today, go outside, turn your face up to the sun and breathe deeply. What do you like to do in the summer? Movies, read more, spend lazy days by the pool? I love summertime. It’s hot, you can go to the pool, wear cute shorts and best of all, sorbet tastes wonderful! Here’s a super easy recipe to make your own. I used greek yogurt but you can use low-fat flavored yogurt if you prefer. 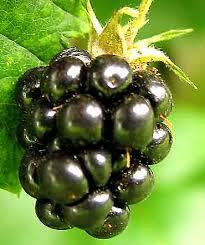 This example uses blackberries but if they aren’t your favorite, substitute with your favorite fruit. 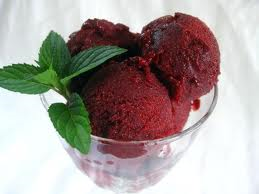 This is my go-to sorbet and I make it with all fruits – pineapple, kiwi, cherry, peach, cherry, raspberry, etc.